Rating: 4.0 of 5. 4 vote(s). Click the rating bar to rate this item. 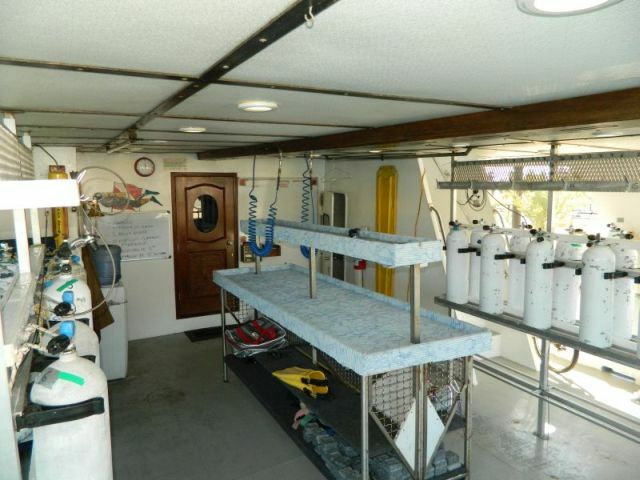 Rocio del mar is a steel dive vessel of 110 ft and 24 ft beam equipped With stabilizers that make your trip a nice sail. 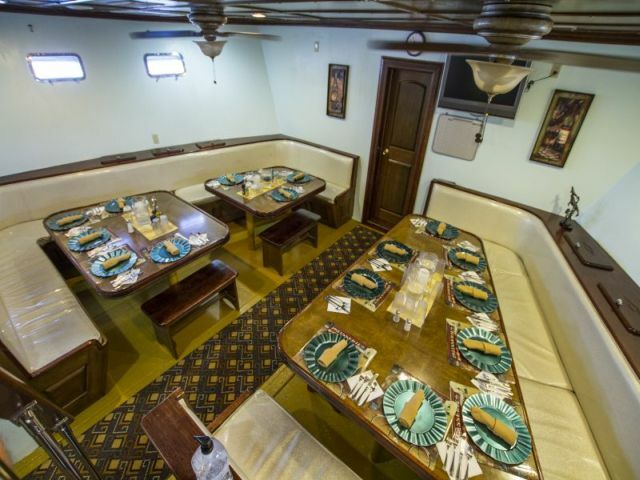 Rocio del Mar can accommodate 20 passengers in 10 staterooms cabins, All of their rooms have their own private bath and have memory foam mattresses. 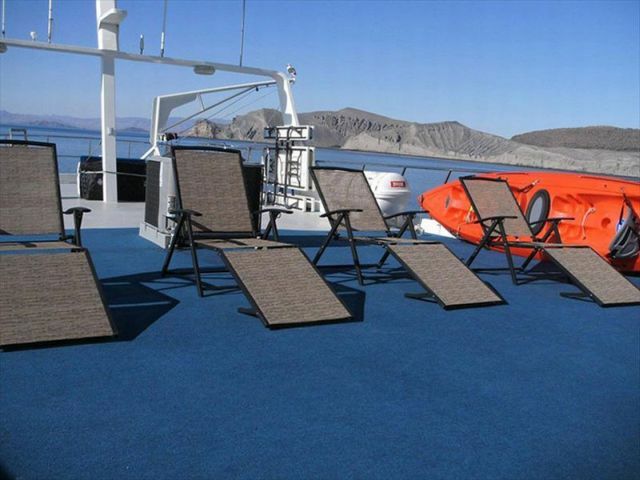 , two cabins have double beds toward the bow of the boat and there are two cabins with a double bed and a single bunk , Six of their cabins have two single twin beds. 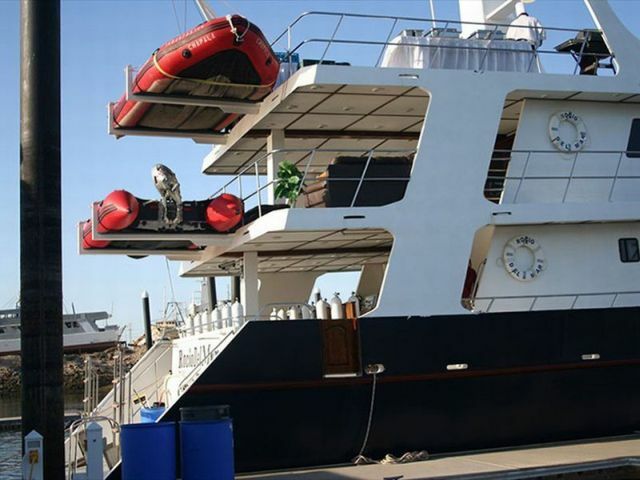 To reach the boat the guests fly into San Jose del Cabo a night before their trip, book a hotel room and meet the boat at the San Jose Marina the morning of the trip. 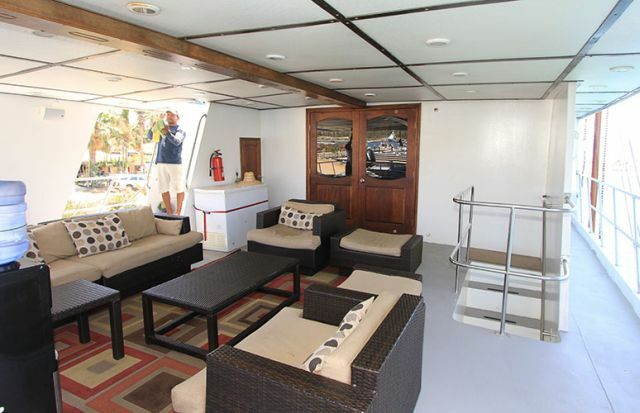 Rocio del mar is set with 10 comfortable guest staterooms on two decks. 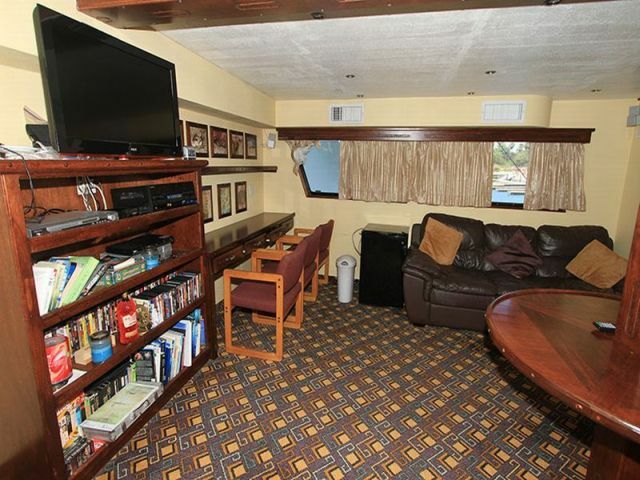 All cabins have private bathrooms with hot shower stalls, western style toilets, lavatories, and above height window. 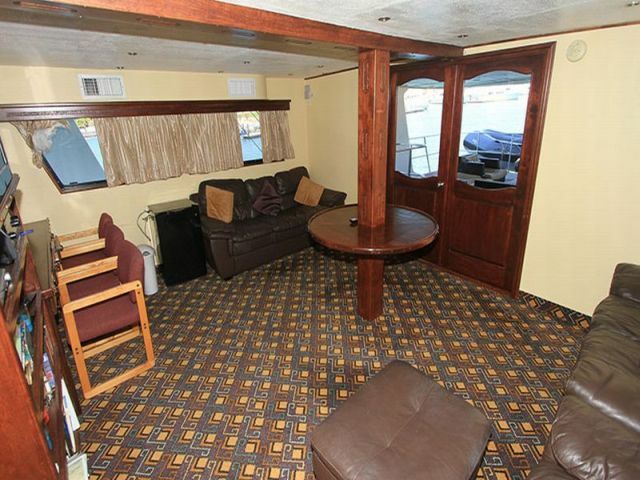 Each cabin is air conditioned and carpeted. There are rooms with convenient gear and clothes storage drawers beneath the beds and length windows with privacy curtains . We recommend any private valuables be safely stored in the boat’s secure vault. 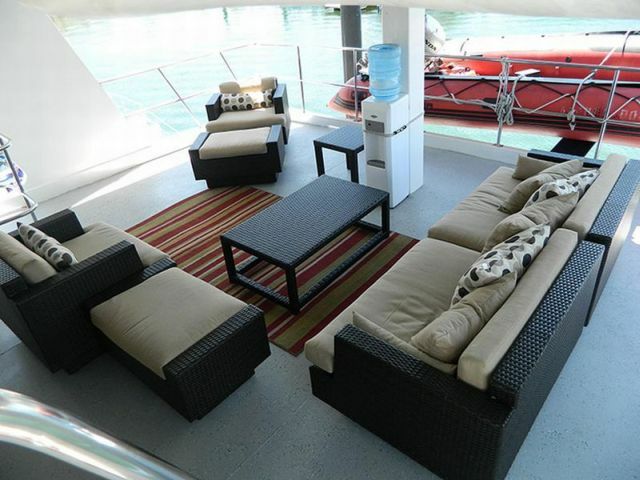 8 cabins are located on the main deck, 4 on the starbord and 4 on the port side. 6 cabins are equipped with each 2 single beds with reading lights and 2 cabins wich double bed, adjustable reading lights and extra storage space beneath. 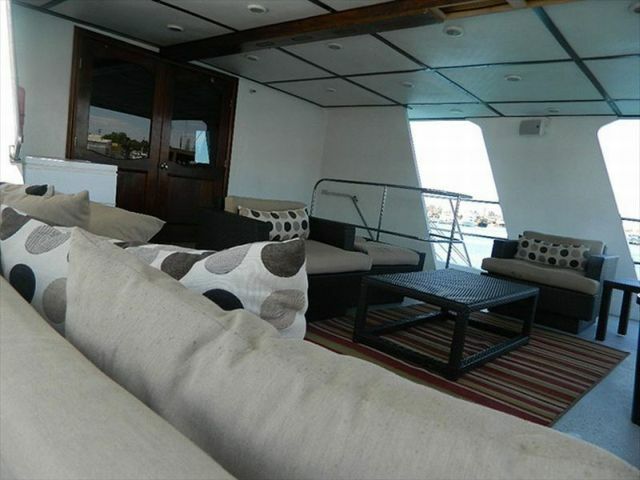 On the second deck There are two staterooms behind the bridge on the port and starboard side. 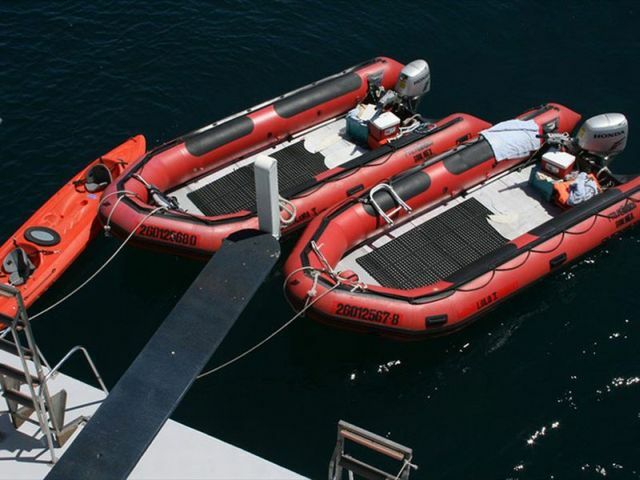 Each cabin features a full size lower bed and a single size bed on top with adjustable lights. 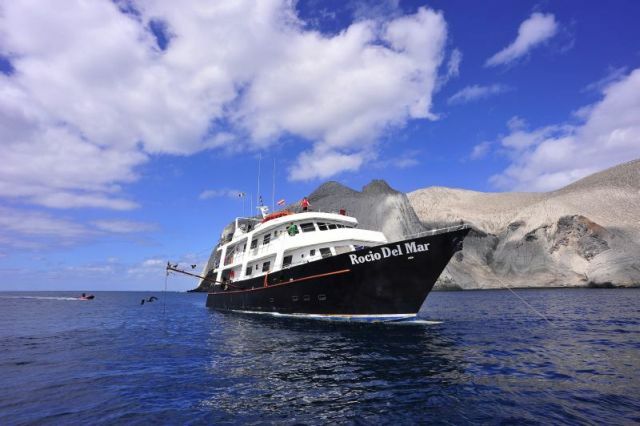 Rocio del Mar offers Socorro Liveaboard trips from November until end of May. The Revillagigaedo Regulations do not allow use of UW lights, knives or gloves during diving activities. Camera lights are not allowed. All dives are day dives. 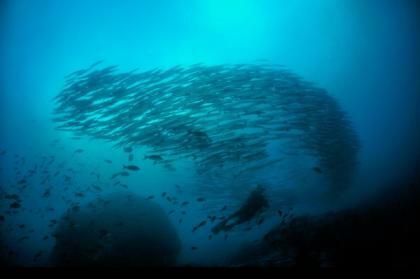 The first day usually 2 to 3 dives are scheduled, all other days except Roca Partida include 4 dives. 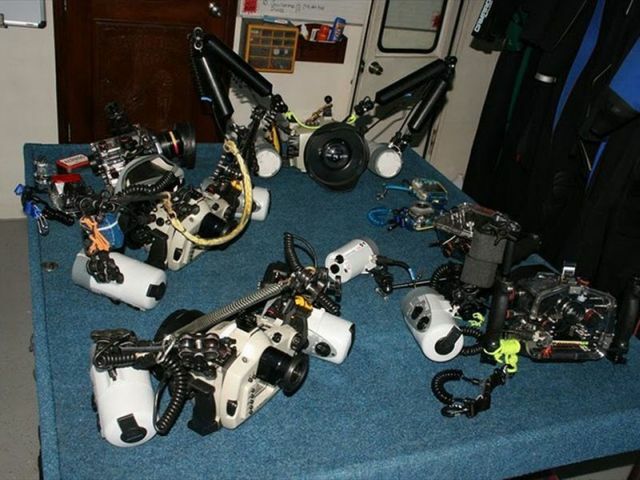 There are always 3 divemasters on board. 2 tender drivers supervise continously the water surface, checking for bubbles and recolect the divers. To reach the boat You need to flight to San Jose de los Cabos, all major airlines fly in and out of this airport, the international airport code is SJD. The boat is docked in Pueblo la Playa San Jose del Cabo at the New Marina in Puerto Los Cabos @ Camino de los Pescadores, There is a short ride of 25 minutes by taxi from the airport to the marina. Taxi fare ranges from $50. Nitro (EAN) is also available for an additional $120 per week! 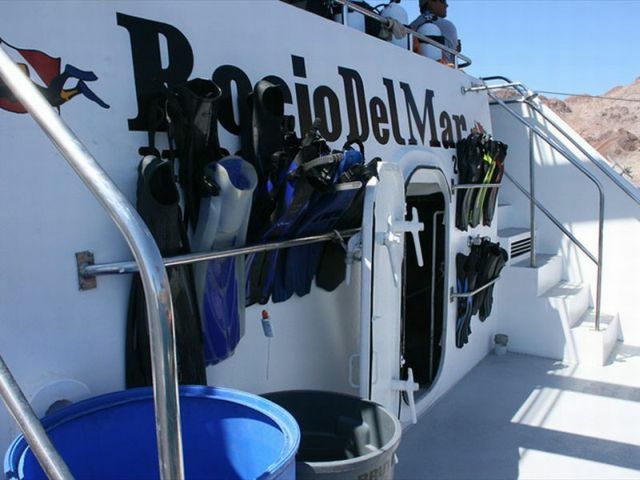 Rocio Del Mar Liveaboard includes 16% Mexican tax in the price of our trips.